30 E. Eau Claire St.
New for 2010 Regional Meetings is this online registration page to help us better plan for your needs. The IATA will provide lunch for this fall round of Regional Meetings with the host chapter coordinating desserts and treats. * 2. 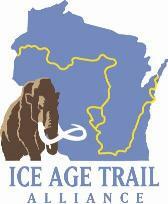 Are you a member of the Ice Age Trail Alliance? * 3. We have many volunteer topics that could be included in future Regional Meetings. What are you most interested in learning about? Challenge Cost Share program overview. Planning for a local trail building project. TRIAD Partnership - What is it? Federal and State Compliance Requirements. * 4. Do you have any further questions or comments regarding this Registration Form or the upcoming event? DIRECTIONS: Click here for a map to the Rice Lake City Hall, Barron County. Please keep an eye out for the yellow and black Ice Age Trail Event signs. If weather permits a local hike may be arrranged by the host chapter. Thank You for registering for the Regional Meeting. Your registration will be complete after you hit the Submit button below. If you have questions regarding the meeting details, please feel free to email Brad Crary or Randy Myren, Field Representatives for the IATA.